Before earth, water, fire and air, the legends say, there was Akasha, the source of all creation. At Hotel Cafe Royal, you're invited to return to that source – Akasha Holistic Wellbeing. Here at our exclusive wellness club, spacious facilities for exercise and massage are just the beginning. From nutrition to meditation, and Reiki to Watsu, you can enjoy expert treatments, therapies and training offered at no other London hotel. Akasha – the way to start the perfect London day, or unwind after one. Akasha is proud to hold the #1 position on Tripadvisor for Spa and Wellness in London. Nine treatment rooms, including a double treatment Akasha Suite, offer signature treatments which marry innovative Western practices with ancient Eastern traditions. There is a private Hammam for purifying scrubs and massages and a Vichy shower for cleansing hydrotherapy rituals. 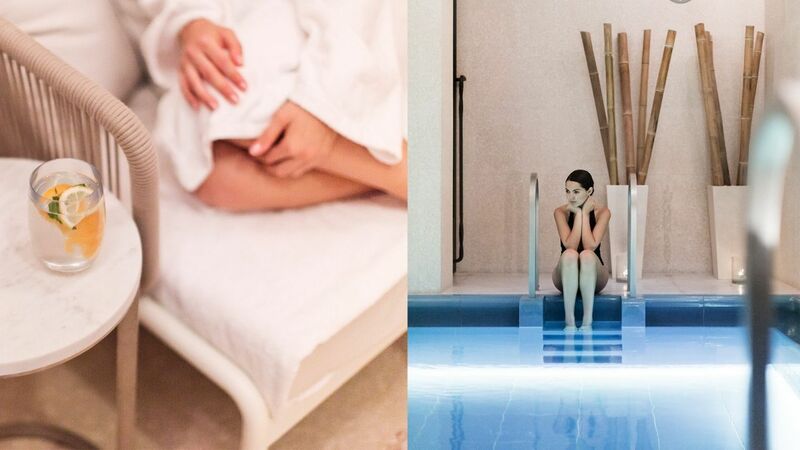 Akasha also boasts London’s first Watsu pool for tailored hydro-treatments and guided meditation. Within Akasha a large and spacious gym area spans over 300sqm/3,230sqft. Cutting edge technology includes LifeFitness equipment, personal entertainment centres with 19” touch screens and iPad docks. These facilities are combined with the knowledge of fully dedicated personal trainers and a range of holistic classes. The Akasha Holistic Wellbeing Centre provides a unique wellbeing experience that assists members in promoting human potential, health, happiness and fulfilment while improving personal balance. Within the serenity of Akasha a lounge bar offers a selection of healthy and nourishing dishes. Designed in collaboration with a nutritionist and Hotel Café Royal's Chef de Cuisine Armand Sablon, the Four Elements Menu incorporates ingredients reflecting the four elements upon which the concept of Akasha is built. Herbal teas, cold pressed juices and energising drinks are also served. We are delighted to welcome our junior hotel guests under the guidance of an adult from the age of 5 to 16 in our swimming pool weekdays 10am to 12pm and 2pm to 4pm and weekends from 10am to 11.30am and 2pm to 3.30pm.